The Best of Teacher Entrepreneurs II: MISC Lessons - "Memory Book"
I have created something special for your end of the year activities. 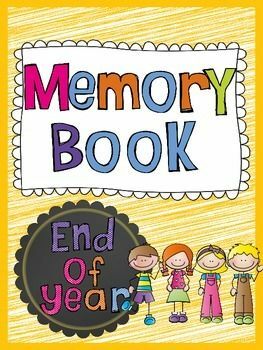 This is a memory book for a variety of grades that will help engage your students at the end of the school year. This is a black and white only version so the kids can color them any color they would like! It'll be half off for the first 24 hours! I hope you all enjoy! Have a great day and week!